The era of the sixty-dollar shooter desperately needs an end. Modern game distribution exists in a broken system. As a recent Gamasutra article has detailed, recent NPD data shows a noticeable decline in both hardware and software sales. The Wii U, the first next-gen console to hit the market, has shown us a dreadful, if not silent, first three months. Developers continue to pump out online passes and DLC, while piracy has become as commonplace a habit as wearing skinny jeans. In the long term, Microsoft and Sony could be poised to turn the tables by restricting the use of used games on their forthcoming consoles. It’s a dire situation we’re in, but not one that can’t be fixed. A graph showing industry-wide hardware sales decline. 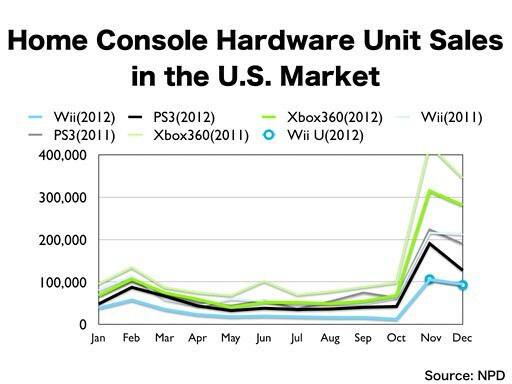 That little blue line on the bottom represents Wii U sales. Let’s talk about indie developers. Apt to create meaningful content while maintaining financial viability, many studios are rethinking sales and distribution. Independent devs have always been some of the most resourceful in the industry, and that’s not something that’s likely to change. From the early successes of the Humble Bundle to the latest Anodyne ads on The Pirate Bay, these small-time teams are always looking to keep games affordable, accessible, and innovative. Yet, even with all the corner-cutting and creative marketing in the world, these games are still undersold. Even with sub-ten dollar price tags, they’re still the victims of piracy. The truth is, all current game studios are working in an overcrowded ecosystem. We distribute games in a way that rewards pirates with variety, and punishes buyers with cumbersome DLC passes and superfluous add-ons. 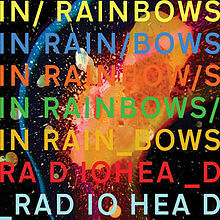 The simplest solution seems to be the Radiohead approach, the ‘pay-what-you-want’ mantra that wrings out the guilty for the most cash. It’s an improvement over blatant burglary, but one that warps the value of human effort and artistic integrity. Even worse, it tempts some legitimate buyers into paying nothing, and guilts others into overpaying. Back In 2007, it was considered a huge gamble to give away music for free. This Free-to-Pay practice has become increasingly commonplace over time. So how to we fix the system? How can we stop a twelve-hour game like Uncharted from costing the price of a three-month Gamefly subscription? Stepping backwards in time, some may remember the arcade mentalities of our past. Retro titles, like Pac-Man and Super Mario Bros., kept us crunching quarters by raising the intensity of player investment. By employing threadbare narrative techniques, social scoring, and structured levels of increasing difficulty, these titles motivated us to keep playing, while constantly snacking on the contents of our wallets. This brings us to an element of interactive entertainment that I call ‘physicality of consequence.’ Even with a wager as paltry as a quarter or arcade token, a player’s sense of risk and reward is critically heightened. Pushing forward becomes the result of a melting-pot mixture of discovery, competition, and gambling—with each component adding to a player’s sense of excitement, investment, and ultimately, consequence. If we can both acknowledge contemporary distribution practices like ‘pay-what-you-want,’ and look back to our arcade past, a solution to our broken system begins to emerge. With developers and critics alike heralding ‘Free-to-Pay’ as the industry’s saving grace, it seems a synthesis of these tactics could serve as the most dynamic solution. Imagine crafting a linear, story-driven game like Gears of War or Infamous, but on the basis that the game could be downloaded and played for free. The idea is to get the player invested in the game, give them a few lives, and then offer more at a price. This would be enough to propel the user into the game’s story and mechanics, but not enough to allow for a proper play-through—the digital equivalent of adding another quarter. In many ways, this type of system would eliminate the need for game demos, while also encouraging studios to craft longer, more immersive games. A handful of quarters may not seem like a large investment, but the cost adds up quickly. ‘Micro-transaction’ isn’t a popular word to throw around, but given the successes of the casual-gaming generation, it seems appropriate to rethink the way games are purchased and consumed. With this proposal—having ‘lives’ (chances to continue) sold individually or in bulk, the cost of a single play-through could easily reach back up to current MSRPs. However, in this case, the cost would be somewhat more proportionate to the length and difficulty of the game. Additionally, it would make the industry seem more affordable, regardless of whether or not it actually is. As far as distribution is concerned, this would also get a larger, more varied number of games into the digital ‘hands’ of consumers. Looking to the future, the infrastructure for this type of payment reform is already in place. 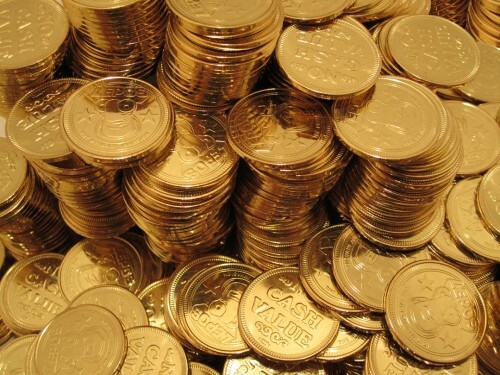 Services like Xbox Live and Nintendo’s Virtual Console require users to convert their dollars into a valueless, point-based, digital currency. It’s the neo-arcade token, and it works surprisingly well. Even without the conversion factor, Steam, the PlayStation Network, Apple’s App Store, and Google Play provide some of the same services, and could easily be adapted to this new structure. In the end, one of the largest roadblocks to the institution of this type of system is a consumer backlash. Everyone seems to whine at the mention of any new Facebook redesign or optional downloadable content, which simply reinforces the objective truth that human beings just don’t like change. Unfortunately, in most tech-based industries, change is the undisputed standard. It’s the only constant, forcing companies and consumers alike to adapt to new circumstances. If recent statistics are any indication, it’s time for our industry to rethink how games are funded and distributed. In other words, it’s time for the era of the sixty-dollar shooter to come to an end, not to mention the all-embracing piracy that threatens our medium. As Cliff Bleszinski recently stated: “If you don’t like the games, or the sales techniques, don’t spend your money on them. You vote with your dollars.” Here’s a chance to make that statement more truthful and relevant than it’s ever been. What are we waiting for?